So now do you see why we consider a box of brownie mix an essential pantry staple? We certainly hope so! Get ready to master your boxed brownies with these tips for baking them up just the way you like ‘em. Brownie lovers tend to be passionate about the texture of their favorite treat. There are those who love a cakey brownie that’s fluffy and airy, others prefer a chewy brownie with just a bit of a fudgy center and then there are the ooey-gooey people who want a brownie so fudgy it sticks to your fingers! No matter which camp you fall into, it’s not hard to achieve your preferred texture with a Betty mix and these simple tips. A cakey brownie is easy to achieve with Betty’s Fudge brownie mix, simply add an extra egg to give your brownies more structure. When baking at high altitude, add an extra egg and 3 tablespoons of flour. A chewy brownie can be made by using a smaller pan (8x8-inches) and baking for the minimum time listed on the box. 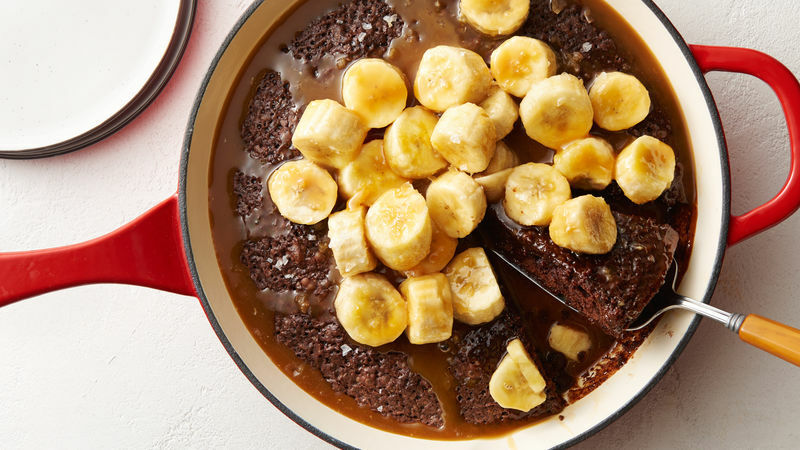 A fudgy brownie can be made – especially with the Supreme brownie mix – by swapping in melted butter for the vegetable oil called for on the box. Or, try Betty Crocker’s fudge pouch brownie mix, which gets its extra dark chocolatey flavor from Dutch cocoa. Another way to customize your brownies is with mix-ins. You don’t necessarily need to buy any special ingredients, just raid your pantry for your favorite snacks (pretzels are great! ), nuts, candy and whatever else catches your eye. Get started with these six clever ideas for upgrading your brownies! Ready for more brownie ideas? Betty’s got even more recipes using brownie mix, plus all the tips for baking perfect brownies and bars.